James Owen Sullivan (February 9, 1981 – December 28, 2009),more commonly known by his stage name The Reverend Tholomew Plague, often shortened to The Rev, was an American musician, best known as the drummer for the American heavy metal band Avenged Sevenfold . He was also the lead vocalist in Pinkly Smooth, a side project where he was known by the name Rat Head, with fellow Avenged Sevenfold member, guitarist Synyster Gates and the drummer for Suburban Legends from 1998 to 1999. Sullivan grew up and lived in Huntington Beach , California . 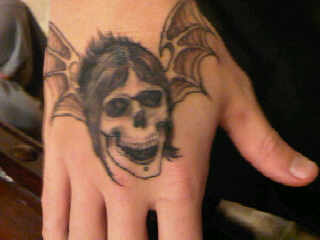 The Rev was found dead on December 28, 2009, at the age of 28. The Rev obtained his first pair of drum sticks at the age of four and received his own drum set at the age of eleven.In high school, he started playing in bands. Before leaving to join Avenged Sevenfold as one of the band's founding members, Sullivan was the drummer for the third wave ska band Suburban Legends. At the age of eighteen he recorded his first album with Avenged Sevenfold titled Sounding The Seventh Trumpet . His early influences included Frank Zappa and King Crimson. The Rev said in a Modern Drummer Magazine interview that "I was raised on that stuff as much as rock and metal." Later in life he was influenced by drummers Vinnie Paul, Mike Portnoy, Dave Lombardo , Lars Ulrich, and Terry Bozzio. He even had a "visual influence", Tommy Lee, on which he commented that "I never thought I'd have one of those. "Sullivan's signature ability which he called "the double-ride thing, just for lack of a better definition, because no one does it," is a technique that can be heard on tracks such as "Almost Easy", "Critical Acclaim", and "Crossroads" in which Sullivan doubles up at a fast tempo between the double bass and ride cymbals. The band won the MTV Music Award for Best New Artist in 2006, beating out Rihanna, Panic! At The Disco, Angels & Airwaves, James Blunt and Chris Brown , where The Rev gave his acceptance speech. 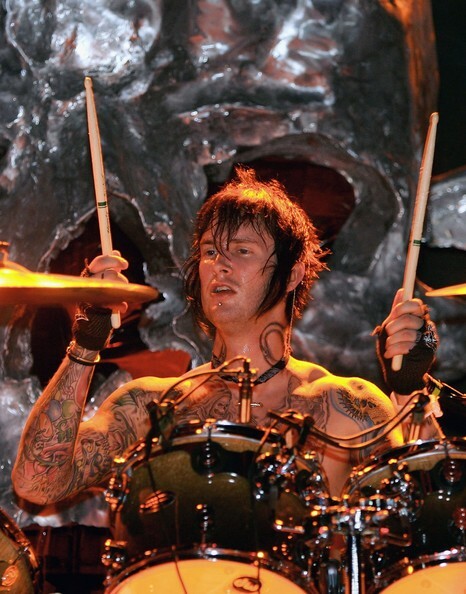 The Rev was also a vocalist, songwriter, and pianist for Avenged Sevenfold. His piano-playing can be heard on the tracks "Warmness on the Soul", "Seize The Day", "Fiction" and "Save Me". His vocals are featured in Avenged Sevenfold's "A Little Piece of Heaven", "Brompton Cocktail", "Critical Acclaim", "Crossroads", "Gunslinger", "Lost", "Scream", "Afterlife", and "Fiction". He used his knowledge of the guitar and piano to write the songs "Almost Easy", "A Little Piece of Heaven", "Afterlife", "Brompton Cocktail", "Welcome to the Family", "Save Me", and "Fiction". He also contributed to the making of "Critical acclaim" and "Lost". Avenged Sevenfold also announced that they will be releasing a demo version of "Nightmare" including The Rev on an electric drumset and his vocals. At the second annual Revolver Golden God Awards, The Rev won the award for Best Drummer beating out Christ Adler of Lamb Of God, Brann Dailor of Mastodon, Dave Grohl of Them Crooked Vultures and Dave Lombardo of Slayer. The award was presented by Joey Jordison of Slipknot and Vinnie Paul of Pantera , with the latter winning the award the previous year. His family members and Avenged Sevenfold received the honour on his behalf. His influences were Vinnie Paul (Pantera), Mike Portnoy (ex-Dream Theater) who has played behind the drums with the group "in its place" in 2010, and Dave Lombardo and Paul Bostaph (both Slayer) . He was reportedly arrested at least 10 times by police for incidents such as fights in bars or killing a pigeon Amsterdam9. As a drummer he was sponsored by DW, Evans, Pro-Mark and Sabian. The Rev was in a Catholic school where he befriended Matthew Sanders, then both were returned. Sullivan's body was found in his home on December 28, 2009 at the age of 28. His death was reported as due to natural causes. The results of the autopsy performed on December 30, 2009, however, were inconclusive. On June 9, 2010, the cause of death was revealed to have been an acute polydrug intoxication due to combined effects of oxycodone (Ozycontin), oxymorphone (a metabolite of oxycodone), diazepam (Valium), nordiazepam (a metabolite of diazepam) and alcohol. On January 5, 2010, a private funeral was held for Sullivan, and a day later he was buried in Huntington Beach, California. 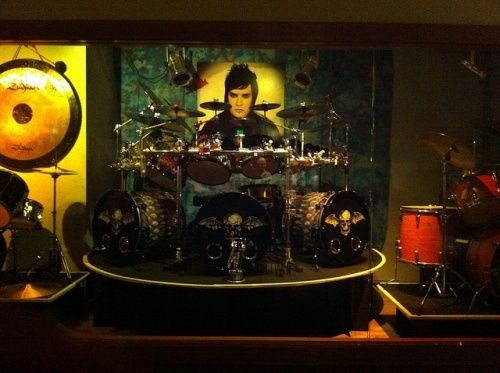 His drum kit is now on display at the Hard Rock Hotel in Las Vegas. 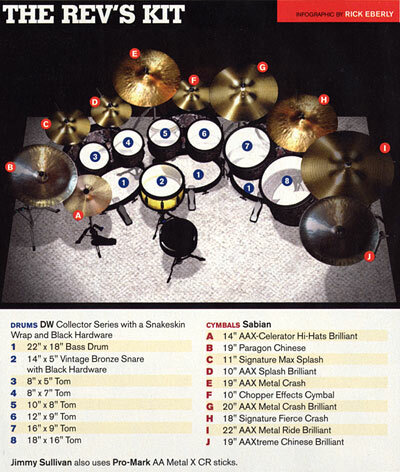 The Rev used Drum Workshop (DW) drums, and is noted for having a triple-bass drum set-up (although he only operated the first two on the left and center of the kit). He also used DW 9000 pedals, and a DW Super Rack to mount his drums. He also used Sabian cymbals; although he had a set of Zildjian cymbals which he used in the studio. He used Pro-mark Natural 5B drum sticks, and Evans drum heads. 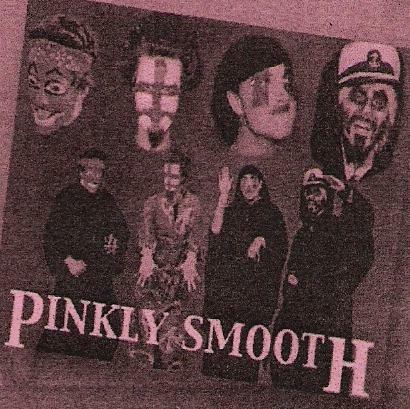 Pinkly Smooth was an American heavy metal band. 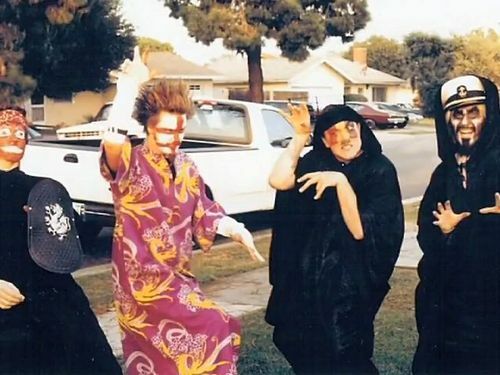 The band was formed in the summer of 2001 in Huntington Beach, California, as a side project for Avenged Sevenfold's drummer/songwriter Jimmy "The Rev" Sullivan, and originally featured The Rev (under the name "Rathead") on vocals, along with fellow Avenged Sevenfold member Synyster Gates on guitar and former Ballistico band members Buck Silverspur (under the name "El Diablo") on bass and Derek Eglit (under the name "Super Loop") on drums. 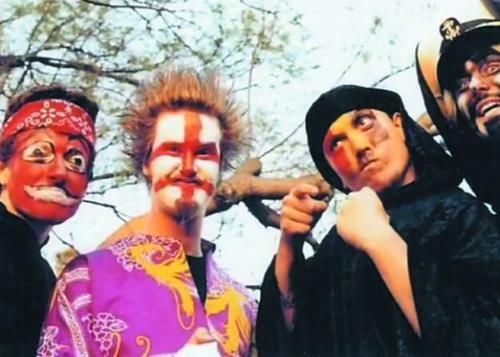 They released only one album, Unfortunate Snort, which featured former Avenged Sevenfold bassist Justin Meacham (under his stage name "Justin Sane") as a keyboard player, and was written primarily by The Rev and Synyster Gates. 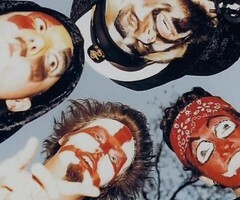 The band broke apart in 2002. Derek Eglit has since formed the heavy metal group Railroad to Alaska, in which Meacham has made several live guest appearances on keyboards. Synyster Gates is still present in Avenged Sevenfold, as was The Rev until his death in 2009. It has been confirmed in a recent interview that the song "Fiction" from Avenged Sevenfold's 2010 album Nightmare, was initially written in Pinkly Smooth, but as they went on an indefinite break after Avenged Sevenfold took off, The Rev never finished it. He revisited it and finally finished it (under the title name "Death") three days before he died on December 28, 2009. "Fiction" is one of only two songs on Avenged Sevenfold's album Nightmare to feature The Rev's vocals (the other is "Save Me") as they were able to save a demo recording that he did of the song shortly before Sullivan's death.In a recent interview with Spanish magazine "Binaural," Synyster Gates stated that they're thinking of remixing and remastering the album and possibly adding new parts now that he has the opportunity as he said the album's quality was similar to a demo. Unfortunate Snort is the first and only album from the heavy metal band Pinkly Smooth. It was recorded in 2002. 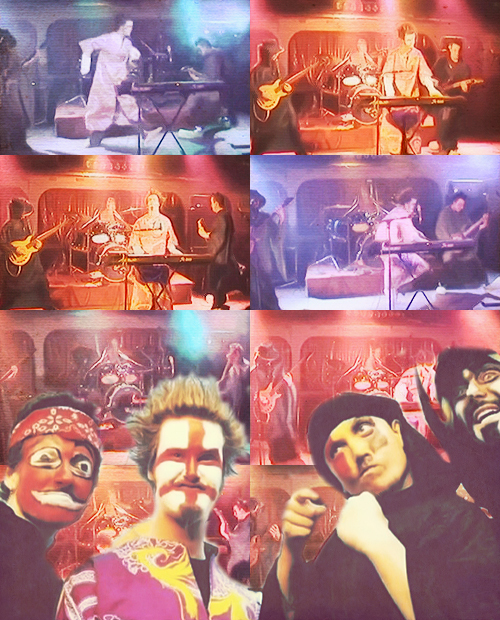 Pinkly Smooth was the side project of the (now deceased) Avenged Sevenfold drummer, The Reverend Tholomew Plague, and featured Avenged Sevenfold's current lead guitarist Synyster Gates, and former bassist Justin Sane on keyboards. 3. "Nosferatu Does a Hefty Dance"
5. "The Body of Death of the Man With the Body of Death"